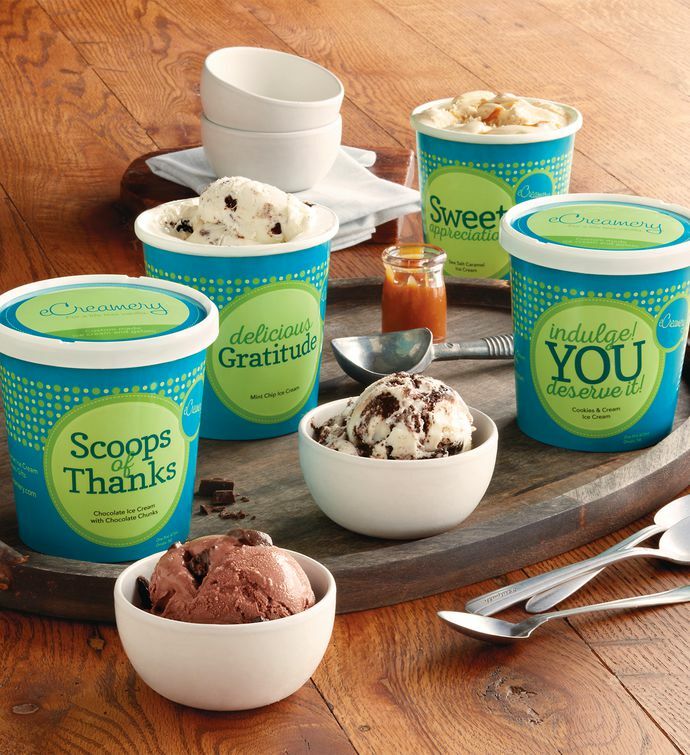 Send a sweet and creamy thank you gift to a friend or client who has been especially helpful. The Thank You Ice Cream Assortment presents classic flavors, such as double chocolate chunk, mint chip, cookies and cream, and sea salt caramel, inside beautiful containers with messages that express appreciation: "Scoops of Thanks," "Delicious Gratitude," "Indulge! You Deserve It!," and "Sweet Appreciation."